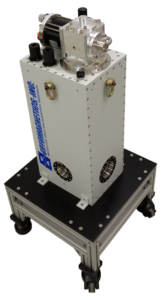 5 Tesla Split-Pair Superconducting Magnet System - Cryomagnetics, inc.
5 Tesla Split Pair Cryogen-FREE superconducting magnet system. Designed with an extremely compact design and the ability to be mounted in multiple orientations. Dual perpendicular room temperature bores. 5 Tesla field, 0.40% Homogeneity over 1cm DSV. Single 1.0 Watt Gifford McMahon Cryocooler. Designed for operation in multiple orientations. I like to request for more information and quotation for the 5 Tesla split-pair superconducting magnet system.